For many years physicians have used various types of implants to replace missing body parts such as hip and shoulder joints. Today, missing teeth can be replaced in much the same way. Dental Implants caused a revolutionary change in dentistry. 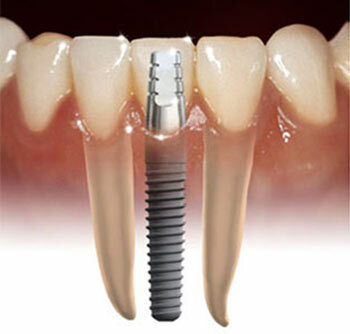 Dental Implants are man-made replacements for tooth roots that have been lost. They behave exactly like real roots - even bonding naturally with the jaw bone. 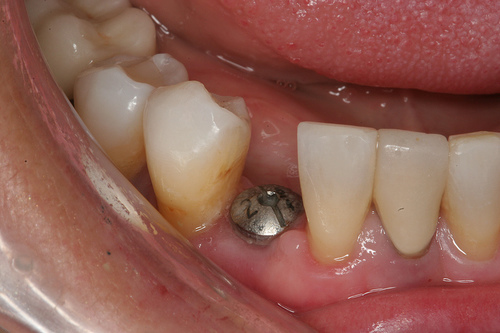 (Osseo integration) The new ceramic white tooth (crown) is then bonded on top of the Dental Implant. Today, millions of people enjoy the benefits of having implants. This simple surgery will restore your confidence and transform your life! The dentist does an examination and x-rays are taken to evaluate the bone quality for this procedure. This is the screening test. 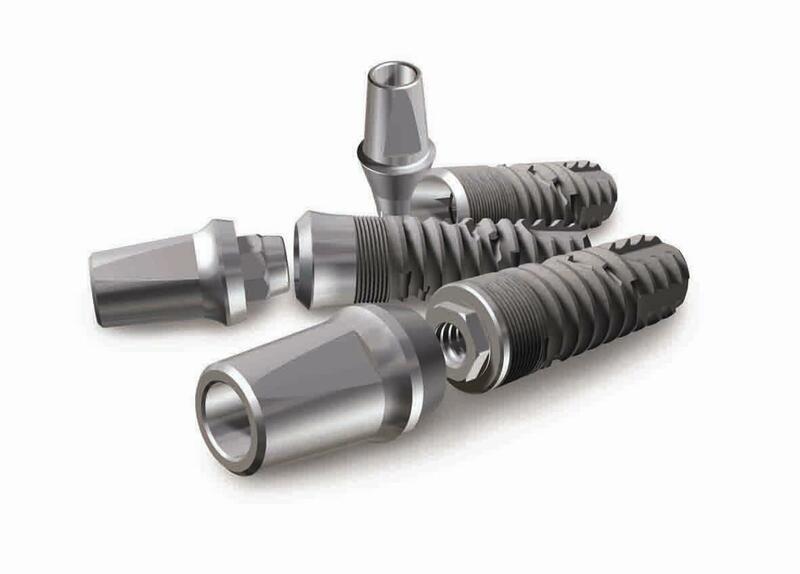 The fitting of the Dental Implant requires drilling a pilot hole and several bigger diameter burs are use to achieve the required depth and thickness for the chosen Dental Implant. After the fitting a temporary tooth lets you eat and behave as normal. The Dental Implant needs a few months to integrate with the jaw. The final step after integration is the placing of an abutment and a crown to finish off the end result. 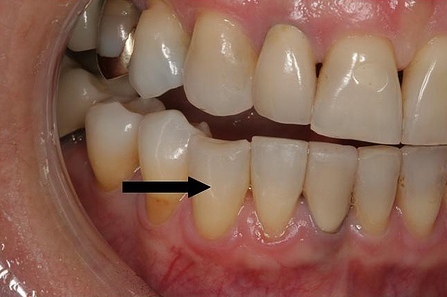 This new tooth should fit, function and look just like a natural tooth. Because the drilled opening gets filled immediately with a tight fit sterile implant, very little work is left for the body to close up the wound. This normally results in very little post-op pain and it is well accepted by most patients. It normally takes a few weeks to complete, but offers a lifetime solution! 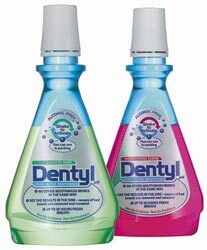 The results are phenomenal! !